Do you need to learn or improve your Spanish? Santiago del Teide council are running their next course of Spanish for Foreigners. The classes begin on November 9th and run until April 2010. Each class session is two hours and they run twice a week. The course is open to everyone, having basic, elementary and advanced levels. The cost of the course is 290 Euros. You can enrol at the Tourist office at Playa de la Arena, or phone 922 860348 between 8am and 3pm for more information. 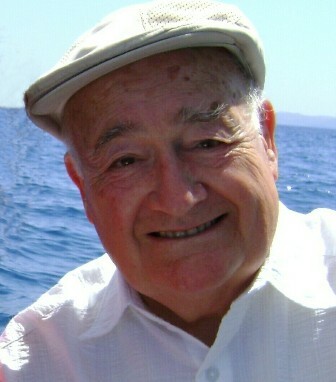 Local swallow Tony Thorne MBE, who lives with his Viennese wife, in Playa Arena, has just completed the third volume of his tall speculative tales, set in, around and even under this magical island. The first volume TENERIFE TALL TALES, won the top “Best Read on the Beach” award in this category in the 2009 New York Beach Book Festival Contest, and as a result, several of the linked tales selected from all three volumes are now being developed into a screenplay in Hollywood, with a producer/screenwriter and one of the producers of LORD OF THE RINGS. It will be a character-driven adventure movie set partly in Wales, but mostly in Tenerife. 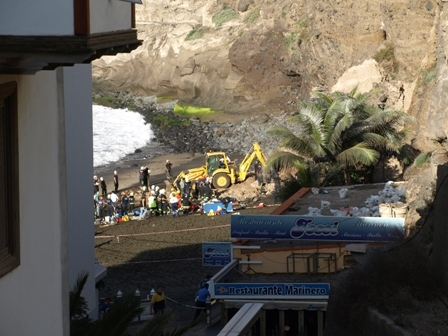 Tributes have been coming in from locals, here in Los Gigantes, as well as from friends and colleagues of Marion, one of the women killed in the rock fall on the beach on Sunday afternoon. Police reports confirm that Marion O’Hara, 57yrs was from the Parish of St. Martin in Jersey and had worked for HSBC for the last 25 years. HSBC Regional Director Dave Hellen told reporters “ Marion only left Jersey on Saturday for a holiday in Tenerife and the news of what has happened has devastated us all. Marion was a loyal, respected and popular member of the team. All her friends and colleagues are thinking about her at this sad time. I would like to offer our sincere condolences to her son, Daniel, and all her family during these difficult times”. lost their lives, the inquest will undoubtedly begin. a similar, though much smaller rock fall just weeks ago. Gigantes marina who are still in shock at the tragic event. The beach will now remain closed to the public until further notice. Meetings are taking place, we will bring you more infomation soon. 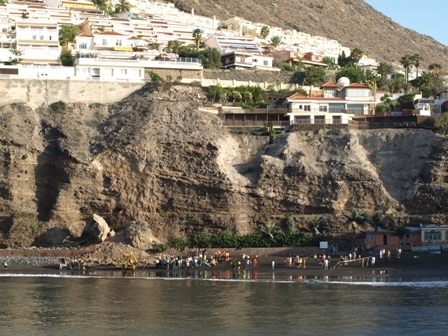 At approximately 15:30 this afternoon there was a serious rock fall on Los Gigantes beach. News from the Mayor’s office confirms 8 are injured and 2 are dead, one Spanish girl age 22yrs, one English woman 57yrs staying in Calle el Pino on holiday. 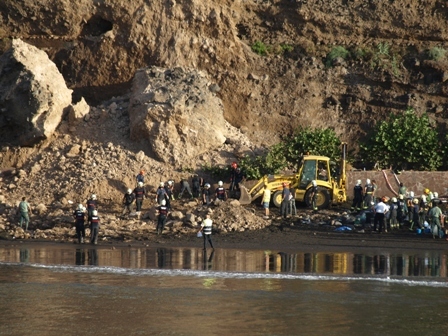 Guardia Civil officers, sniffer dogs, Policia Local and volunteers from local fire brigades as far away as Adeje continued well into the evening searching through the rubble for possible more victims. The English woman who died was Marion Auril O’Hara. She arrived in Los Gigantes yesterday with her son to celebrate a 60th birthday in the family. Her son was in the sea swimming when the incident occurred. The tide was high, the weather perfect and the beach was packed with sun worshipers, both residents and tourists, enjoying a lazy afternoon. A spokes man said it was fortunate that more were not injured or killed. It is rumoured that there have been a number of smaller rock falls in recent days and questions are now being asked as to why the area was not cordoned off adequately. New Lions Club in Playa San Juan. Early in the New Year (2010), Lions Clubs international are hoping to create a new Club which will be the first in the Guia De Isora area. The Club will be English speaking, but all Nationalities are welcome, men and women. Lions Clubs are charitable groups which hold events to raise money for local and International concerns. This Club, will be focusing on holding open social events, weekly or bi-weekly, based in the Playa San Juan area. Explanatory meetings are to be convened in November and December for all interested parties. DING DONG THE WITCH IS DEAD!! Recent sightings of a dark object with florescent green hair and matching accessories have been confirmed to belong to that of the Wicked Witch of the West. Suspicions, which were firstly reported in the Tipsy Terrace Telegraph on Thursday 22ns October, were put down to nothing more than rumors from a leaky cauldron. However, at approximately 2.30am Monday morning, residents surrounding Tipsy Terrace were all out on their terraces. “We heard this almighty screech which we put down to a dreadful cat fight” said Barbara Meadows, Hibisco III. “Roy did his best to calm me down but my nerves are still shattered, seeing the witch crash on court one lamppost this morning was a huge relief”. Wanda, the oh-so-ugly but oh-so-friendly witch is relieved; she is now officially the only witch in the whole of Tenerife and will not be forced to leave Tipsy Terrace by the very jealous wicked witch. A huge relief to all.